Hello guys, if you are interested in learning Spring Boot and looking for some awesome resources e.g. books, tutorials, and online courses to start with then you have come to the right place. Earlier I have shared some great books to learn Spring Framework, including Spring Boot (see) and today I'll share some of the best online Spring Boot courses you can join to learn Spring Boot by yourself. In the past, I was a big fan of learning from a book, but online courses have changed that completely. Now I prefer to start with an online course e.g. Spring Boot Essentials and then move on to a book like Spring Boot in Action for more comprehensive learning. Anyway, before going through those Spring Boot courses, let's first revise what is Spring Boot and it's benefits and why you should learn it. Spring Boot is one of the best frameworks for Java developers and if you don't know yet, probably 2019 is the best time to learn Spring Boot. 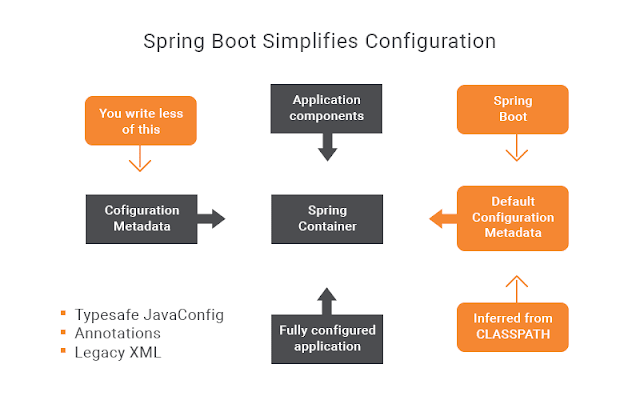 Just like Spring makes Java development easier, Spring Boot makes Spring development easier by taking out all pains related to dependency management, configuration, and bean declaration etc. It seriously makes the Java development fun, particularly web development ridiculously easy by providing features like starter dependency, auto-configuration, Spring Boot CLI, Spring Initializer, and Spring Boot Actuator, but, the best thing you would love about Spring Boot is how it allows you to run your Java application. Can you guess? Yup, you guessed it right, now with Spring Boot, you can run your Spring application just like a core Java application by using the classic main method. No need to set up a web server, build a war file and deploy that into a servlet container. Just create a Spring boot jar for your project and run it as core java application using jar command as we run any core Java application from the command prompt. You might be wondering then how would you deploy that JAR into a traditional web server like Tomcat which your company is using in production? Well, not to worry. Spring Boot gives you options to create JAR or WAR file and the best thing is that you can even run the WAR file from the command prompt because Spring Boot has an embedded tomcat server in it. So, learning Spring Boot will help you to develop Java development easily because you can now focus on the application logic more rather than worrying about configuration and dependency management. It's also now becoming a standard way to use Spring framework in many companies and they are looking for Java developers with some Spring Boot experience. So, if you are looking for your next Job in Java and Spring development, learning Spring Boot can seriously boost your chance. Here is my list of some of the best online courses to learn Spring Boot for Java and Spring developers. It's good to have some Spring experience when you start with Spring Boot but that's not mandatory. In fact, I suggest all first-timers start with Spring Boot, it's better to start with the latest and popular technology than traditional ones, btw, if you still want to start with Spring first, then you should first check out Spring Framework 5: Beginner to Guru before going through any of these Spring Boot courses. In this list, I have included courses for both beginners as well intermediate and experienced developers. Most of these courses will help you to learn all important Spring Boot features e.g. auto-configuration, starter dependency, Spring Initializer, Spring Actuator, and Spring CLI but some courses are goal-oriented and they will also teach you how to develop Microservices and Cloud-based application using Spring Boot and Spring Cloud. This is a short and simple course to start with Spring Boot. I pick this course for its clarity. The instructor is very focused and has a good voice and explanation skills which makes it easy to digest new Spring Boot concepts. The instructor, Nelson Djalo, explains Spring Boot concepts by developing a RESTful web service, which will also spark your interest in this field. You should take this course if you are in a real hurry of learning Spring Boot. By following this course, you can learn Spring Boot in just a couple of days. Btw, if you are very new to Spring world and don't know about dependency injection, Spring container, and other basic concepts, I won't recommend you to join this course. You better start with other Spring boot courses on this list which explains Spring framework along the way e.g. Spring Framework MasterClass - Beginner to Expert. This is another excellent course for learning Spring Boot for beginners i.e. someone with no prior experience with Spring Boot. It will not only teach you Spring Boot basics but also basics of Spring framework e.g. dependency injection, inversion of control, application context etc. In this course, instructor Dan Vega, a popular Spring framework instructor on Udemy will teach you how to develop a web application using Spring Boot. You will create Spring MVC application end-to-end. You will build REST services using Spring Boot, connect to the database using Spring Data, and secure your application using Spring Security. You will also learn how to create and an executable JAR of your application. The course also explains key Spring Boot concepts like Spring Initializer to automatically create project structure, Starter POMs or starter dependencies and auto-configuration. 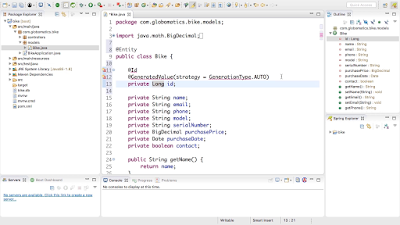 In short, a comprehensive course to learn Java application development using Spring Framework. You will learn Spring MVC, REST, Spring Data JPA, Spring Security and all other related libraries in just one course. This is another comprehensive course to learn Spring Boot and related libraries for beginners. Ranga is also another popular Spring framework instructor in Udemy and has a lot of experience in teaching Spring. In this course, you will not only learn all key Spring Boot concepts e.g. auto-configuration, Starter dependencies, Spring Initializer but also explore more advanced concepts like Spring Boot Actuator and other Spring Boot dev tools. The course also covers Spring MVC and teaches you to create a web application using Spring MVC and Hibernate/JPA. If you don't know anything about Spring MVC, don't worry. You will learn enough in this course to create your own web application e.g. DispatcherServlet, ViewResolvers, Model, Controllers etc. Another good thing about this course is that it will teach you to write great Unit and Integration testing using Spring Boot. You will also learn JUnit 5 and Mockito, two of the leading testing frameworks for Java application development. In short, a great course for beginners to start learning Java development with Spring Boot and related technology. This is a great introductory course on Spring Boot Framework and you will learn What is Spring Boot, How it works and How it works with other Spring modules e.g. Spring MVC, REST etc. In this course, you will learn Spring Boot by creating a demo application. You will explore different Spring Boot feature along the way e.g. 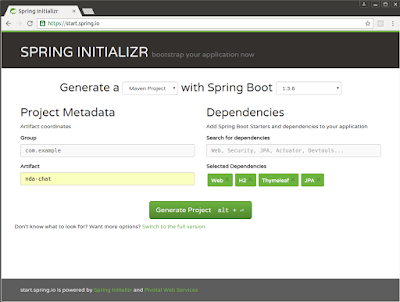 Spring Initializers, Spring Boot Dependency management i.e. starter POMs which allows you to just declare one starter package instead of several individual libraries. You will also learn how to externalize properties and take full advantage of Spring Boot auto-configuration to reduce configuration in your project. In short, one of the best course to learn Spring Boot for beginners. After completing this course you should have a good idea about Spring Boot architecture and how it works together with Core Spring. This is a task-based course and a little bit different from other courses. It's also a more advanced course and more suited for experienced Java programmers who have good knowledge of Spring framework and some basic understanding of Spring Boot and Spring Cloud, two leading framework from Spring umbrella to build modern-day Java application for the cloud. In this course, you will first start with developing RESTful web service using Spring Boot and then slowly move towards Spring Cloud and Microservice pattern. You will learn about key Microservice and cloud concepts e.g. 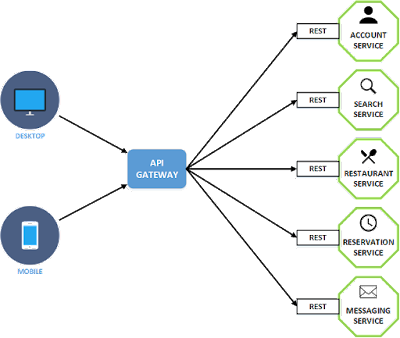 client-side load balancing using Ribbon, Dynamic Scaling using Eureka Naming Server, Fault tolerance for microservices with Hystrix etc. You will also learn some advanced REST concepts e.g. how to version your RESTful Web service and document them using Swagger. Overall a great course for Java developers moving towards cloud and microservices by using Spring Boot and Spring Cloud. Some of my readers also ask me what is the best way to learn a new framework? Online courses are more interactive and you learn a lot of things in very less time. They are also very cheap nowadays, for another important reason. Some of these Spring Boot courses on Udemy cost less money then just taking a taxi to go a supermarket, btw, if you still like to start with books, Spring Boot in Action by Craig Walls, author of Spring in Action is the best book to start with. That's all about some of the best courses to learn Spring boot in 2019. Spring Boot is an immensely useful framework, it gives you all the power of the Spring framework without all of its complexity which really boost the productivity. If you happen to use Groovy then you can further reduce development time of Java web application using Spring CLI. If you ask me one thing to learn in 2019, I would suggest Spring Boot. It will not only help you to write Spring-based Java application easily but also gives your career a boost. Thanks for reading this article so far. If you like these Spring Boot Courses and then please share with your friends and colleagues. If you have any questions or feedback then please drop a note.